Steve Anderson’s second book shows you how to take the techniques and skills you learned in Refinement and Repetition and transform them into consistent, solid match performances. 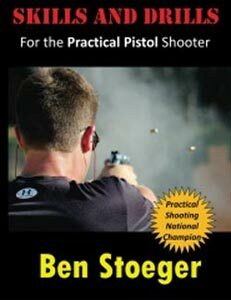 The book places a heavy emphasis on match consistency and the mental qualities required for consistently solid USPSA match performances. 10% discount for QTY 2 or more. Steve’s shooting book, Principles of Performance, is the logical continuation of Steve Anderson’s first book, Refinement and Repetition. It follows Steve’s progression from a shooter who was driven to be Ohio’s first USPSA Grand Master to a shooter who wanted better, more consistent match performance. 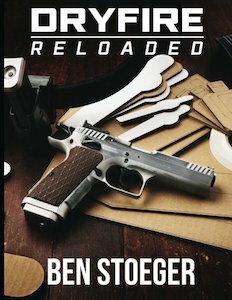 The new book places a heavy emphasis on match consistency and the mental qualities required for solid USPSA (United States Practical Shooting Association) match performance. It is designed to take a good shooter with sound fundamentals and basic skills to a place where he can better utilize those basic skills in the world of high-stress competition. There are drills designed specifically to improve field course skills, as well as drills designed to isolate the challenges a shooter begins to see at larger matches. Principles of Performance also covers all the common mistakes seen at every USPSA match, as well as their solutions. Most shooters will recognize themselves in the “Common Mistake” portion of the book, thereby gaining the means to identify a simple solution to every problem. 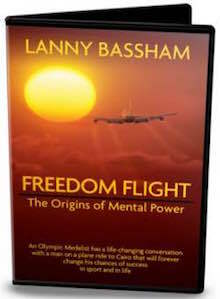 Also featured is Steve’s interview with Lanny Bassham, on the topic of creating a winning self image in the arena of national competition. He interviewed Lanny for over an hour and transcribed the entire conversation. He also details his first two experiences on National Championship “Super Squads,” which give the reader a good idea of what it’s like to be squadded with the best shooters in the sport. 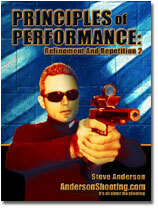 In his first book, Refinement and Repetition, Steve helped the shooter achieve the goal of higher class placement based on improving fundamental skills. In Principles of Performance, Steve shows you how to take those skills and put them to work by improving match placement.